29th of October is the big day: this is the opening day of the total auction of grandmaster Gaby Vandenabeele. The entire life's work of the maestro from Dentergem will be sold in an online PIPA auction. 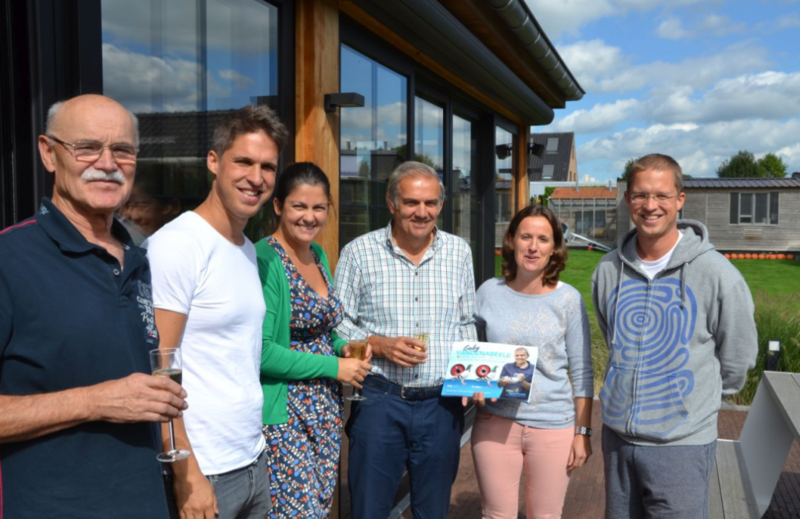 Upon receiving the first few copies of the catalogue, we raised a toast to Gaby Vandenabeele's incredible pigeon racing career. The weekend of 10-11-12 November will mark the definitive end of one of the, if not the most celebrated pigeon lofts of all time. No other pigeon family has bred more champions and race winners worldwide than the Vandenabeele breed. These pigeons knew how to win races and to dominate competitions, and their direct descendants all inherited these traits, which really makes this breed stand out from the rest. This pigeon family has been a magnificent success story. We have been working for months to present this success story and the total auction to the general public, in the form of a catalogue. This catalogue gives a preview to the numerous top level pigeons in this world class pigeon family, as well as an overview of the team's best breeders of today, and their respective partners and their descendants. There is also a brief history of this loft and a look back at some of their greatest successes and the highlights of their 40 year career, including 7 national first prizes and 100 provincial victories. We also zoom in on the pigeons that played a pivotal role in this success story and in the development of this breed overall, and we discuss some of the most recent top results with Gaby Vandenabeele pigeons in other pigeon lofts across the globe. The frontpage of the catalogue. This is not just an auction catalogue, it is just as much a reference work. 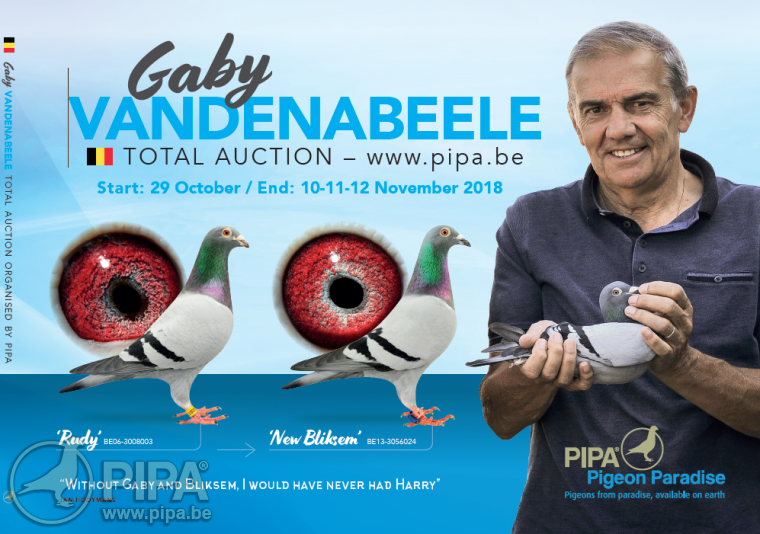 This is the life's work and an homage to 42 years of top level pigeon racing at international level, with and thanks to the incredible Gaby Vandenabeele pigeon breed. The catalogue costs 15 EUR, shipping included. If you pay by bank transfer, our bank account details will be sent you upon ordering. Important: if you sold one or more pigeons through PIPA since 2013, you will automatically receive a copy of our catalogue at home. In that case, you do not need to order the catalogue yourself! Our PIPA team was eager to have a look at the printed version of our catalogue.